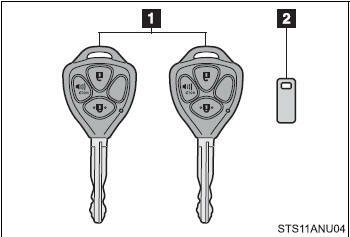 When bringing a key with wireless remote control function onto an aircraft, make sure you do not press any buttons on the key while inside the aircraft cabin. 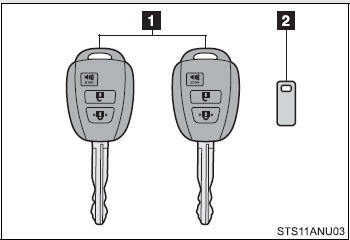 If you are carrying the key in your bag etc, ensure that the buttons are not likely to be pressed accidentally. Pressing a button may cause the key to emit radio waves that could interfere with the operation of the aircraft. 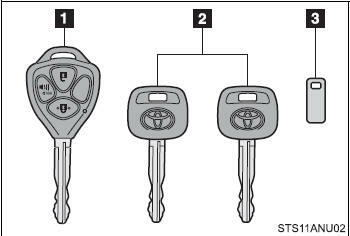 ●Do not subject the keys to strong shocks, expose them to high temperatures by placing them in direct sunlight, or get them wet. ●Do not expose the keys to electromagnetic materials or attach any material that blocks electromagnetic waves to the key surface. ●Do not disassemble the wireless remote control key.